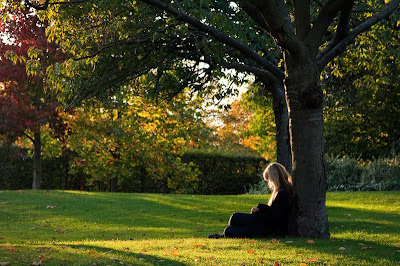 Catching the last of the sun in Regent's Park. Sometimes the light cast by the sun is prettier than looking directly at the sky. Remember to catch other skywathchers around the world. This is a very peaceful scene. You can tell fall is in the air. Very true indeed, what a beautiful shot! Look at that light! I recently finished reading The Duchess of Bloomsbury Street and she mentioned Regents Park and particularly Russel Square a lot. Thanks for showing me what part of it looks like! Here it is just above zero and rain. Terrible! Lovely! I love nature's colours in autumn. Happy Friday night! Lovely. What a beautiful moment! The last rays of the autumn sun capture all the beautiful curves you have included in your image, Mo. Idyllic. beautiful shot, love the light and shadow. Ah yes, I so love the light of the sun sitting low in the sky in autumn. You've captured it beautifully in this photograph - I would love that to be me (having a moment from the children!) relaxing with a book enjoying the autumnal colours. Meanwhile, it's spring here in NZ and a wet one at that!